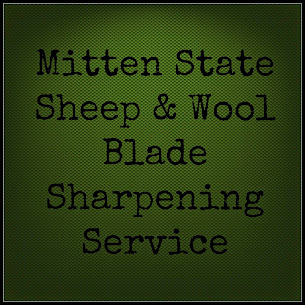 Mitten State Sheep & Wool : HomeAcre Hop #56 and Giveaway! Help Us Celebrate Week 3 of our Anniversary Bash! The HomeAcre Hop turned 1 and we're having a great time giving away wonderful products to commemorate the event! This week's giveaway is sponsored by Peggy from Pumpkin Seed Soaps! Peggy is saving all of the proceeds from her Etsy sales to fund the adoption of a little boy from Uganda! Enter our giveaway for a chance to try her Peppermint Bath & Body Collection for free! Please be sure to stop by and visit her Etsy shop for more great, handmade in the USA, environmentally friendly products! *This is not a paid advertisement! Peggy sent free products for Lisa to review and she is donating this wonderful collection to go to one lucky reader! Please enter for your chance to win below! Congratulations Terressa Z, our Week #1 Giveaway Winner! This is another wonderful giveaway, please enter me. Great giveaway, and great group of bloggers!